Join the Rollins College Tars Women’s Soccer College Bound ID Camp. It is intended for female soccer players 9 to 17 years of age who are aspiring to play at the college level. This identification camp is a three-day event that will run from July 9 until July 11. Running the program is the Rollins College women’s coaching staff together with coaches from UCLA and Florida International University. In addition, this soccer camp is going to accommodate both residential and commuter campers. The registration fee for residential campers is $630 while it is $535 for commuter campers. Rollins College is a private, coeducational, liberal arts college in Winter Park, Florida. It is an affiliation of the Southern Association of Colleges and Schools and the National Association of Schools of Music. The institution is also part of the Florida Department of Education and the American Alliance of Museums. Currently, it is serving around 1,900 undergraduate students. This undergraduate student population comprises 40 percent male students and 60 percent female students. It is also through a selective enrollment acceptance rate of 61 percent. Correspondingly, the college’s student to faculty ratio is 10:1. Rollins College is also among the nation’s top colleges. As a matter of fact, Rollins College is 2nd in the Regional Universities South category of the 2018 edition of the US News and World Reports Best Colleges rankings. It is also 21st in the Best Value Schools rankings and 128th in the Business Programs rankings. In sports, Rollins College fields its intercollegiate men’s and women’s sports teams in the Sunshine State Conference (SSC) of the National Collegiate Athletic Association (NCAA) Division II. They are the Tars and royal blue and gold are their identity colors. Collectively, the Tars college teams have already 22 National Championships and 65 Conference titles. Head Coach Alicia Schuck, a native of Rockwood, Pennsylvania is leading the Rollins College Tars women’s soccer team. She is now in her seventh season at the reins of the Tars women’s soccer program. Coach Alicia Schuck is a bachelor’s degree graduate from Rollins College. She is the first Rollins Tar to be inducted into the Sunshine State Conference Hall of Fame. 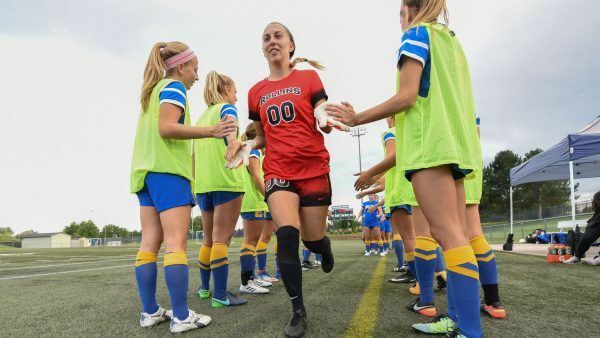 She is also the college’s all-time leader in goals. Ultimately, Coach Alicia Schuck is the 2014 National Soccer Coaches Association of America (NSCAA) National Coach of the Year. She is also a recipient of the NSCAA South Region Coach of the Year and the SSC Coach of the Year awards. Under her leadership, the Tars women’s soccer has already been into five NCAA Tournaments. Then, the Rollins College Tars women’s soccer assistant coaches are Jessica Deese, John Markey Jr., Joe Raymond, and Katie Tullis Wano. Coach Jessica Deese who hails from Orlando, Florida is also a Rollins College graduate. She is now in her seventh year with the coaching staff. Moreover, Coach John Markey Jr. is a new addition to the Tars coaching staff. He is the former Bethany College head coach. Coach John Markey Jr. is a bachelor’s degree in Communication management and a minor in mass communication graduate from the University of Alabama at Birmingham. Come and join the Rollins College Tars Women's Soccer College Bound ID Camp from the 9th of July until the 11th of July. This three-day event is both a residential and commuter camp that is open to all girls 9 to 17 years of age. This soccer identification camp is going to take place at the beautiful Rollins College campus in Orlando, Florida.